Fujitsu Limited has announced that Japan&apos;s Ministry of Economy, Trade and Industry (METI) and Tokyo Stock Exchange (TSE), have chosen it as a 2019 "Competitive IT Strategy Company." 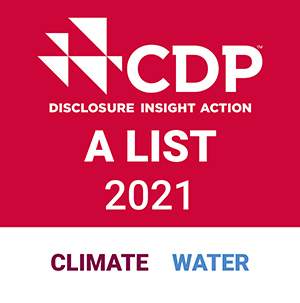 Fujitsu Limited will procure sustainable ingredients that have received certification for Good Agricultural Practices (GAP) on an ongoing basis, offering dishes with such ingredients in employee cafeterias at four facilities. Fujitsu Limited has announced that Fujitsu Forum 2019 will be held on Friday, May 17 at Tokyo International Forum. This year&apos;s theme will be "Human Centric Innovation: Driving a Trusted Future." 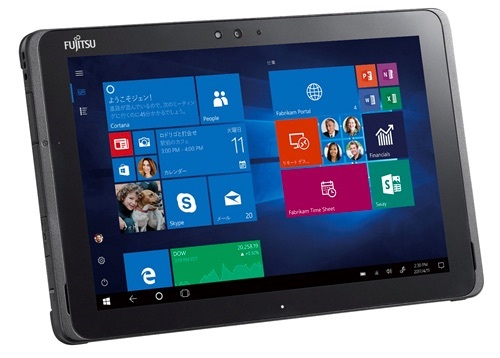 Fujitsu today released the Fujitsu Technology and Service Vision 2019. We set the theme this year as &apos;Human Centric Innovation: Driving a Trusted Future&apos;, with the aim of creating human-centric innovation together with our customers and partners and building a trusted future where everyone can feel safe. Fujitsu Limited today announced that, working with RIKEN, it has completed the design of Post-K, the successor to the K supercomputer. Fujitsu Limited has been honored at the ceremony held by the US National Academy of Television Arts & Sciences in Las Vegas on April 7, receiving an Emmy Award at the 70th Annual Technology & Engineering Emmy Awards. Fujitsu Limited has announced the results of a field trial conducted with the assistance of the Maritime and Port Authority of Singapore (MPA) in analyzing marine traffic risks in the Singapore Strait. 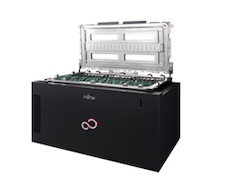 Fujitsu Laboratories Ltd. has developed a technology to improve the speed of deep learning software, which has now achieved the world&apos;s highest speed when the time required for machine learning was measured using the AI Bridging Cloud Infrastructure (ABCI) system, deployed by Fujitsu Limited for the National Institute of Advanced Industrial Science and Technology (AIST). Fujitsu Limited has presented an analysis of the impact of digital transformation on mobility services, outlining megatrends and business opportunities. Fujitsu has attained the status of global Microsoft Azure Expert Managed Services Provider (MSP), just three months after announcing a global systems integrator partnership with Microsoft. 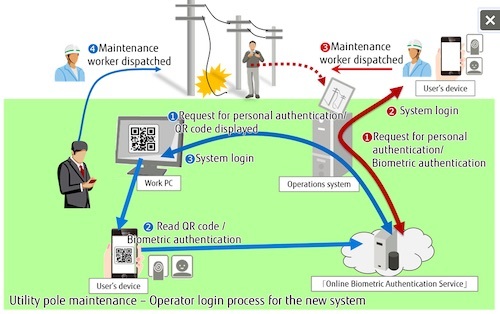 Fujitsu Korea Ltd. (FKL) and Fujitsu Limited today announced that the Korea Airports Corporation (KAC) has deployed Fujitsu&apos;s palm vein authentication system at all 14 domestic airports under its jurisdiction(1), to ameliorate congestion by identifying boarding passengers with biometric authentication. Fujitsu has formulated the "Fujitsu Group AI Commitment," which outlines its vision for the safe and secure use of AI. 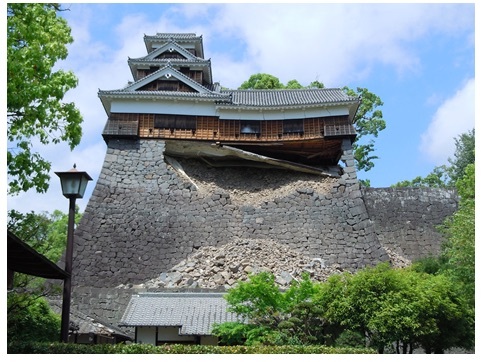 Fujitsu Limited and Fujitsu Advanced Engineering Limited have conducted a field trial using image processing technology to identify the positions of stone blocks in walls prior to the collapse that damaged the five-story Iidamaru Turret in Kumamoto Castle. 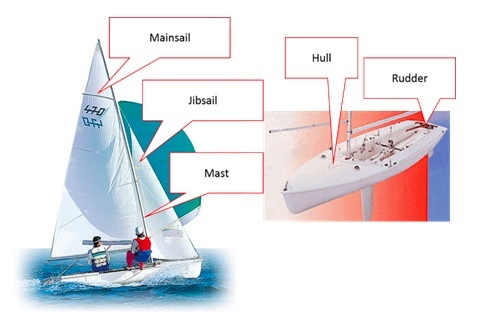 Yamaha Motor Co., Ltd. and Fujitsu Limited will conduct an IoT-based field trial to improve the performance of the 470, a type of small dinghy used in sailing competitions. 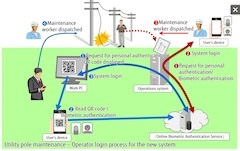 Fujitsu Limited announced that TEPCO Systems Corporation has adopted Fujitsu&apos;s Online Biometric Authentication Service, compliant with the Fast IDentity Online (FIDO) next-generation online authentication standard, for their newly developed system to improve the efficiency of utility pole maintenance operations within TEPCO&apos;s service area. Fujitsu Limited announced its new graduate recruitment plans for fiscal 2020, as well as its mid-career recruitment plans for fiscal 2019. Tokyo and Kawasaki, Japan, March 01, 2019 Fujitsu Limited and Fujitsu Laboratories Ltd. today announced the development of a miniaturized photodetector for high-sensitivity infrared cameras. 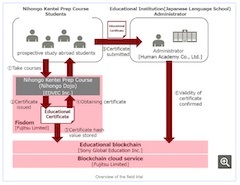 Sony Global Education, Inc., Fujitsu Limited, and Fujitsu Research Institute announced that as of February 27, they have initiated a field trial to evaluate the usefulness of blockchain technology in the management of course records and grade data. 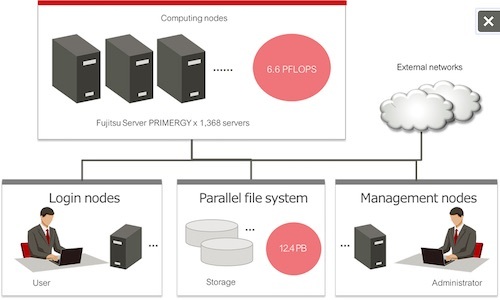 Fujitsu today announced has received an order for the large-scale massively parallel supercomputer system "Oakbridge-CX" from the Information Technology Center of The University of Tokyo. Fujitsu has announced the development of Fujitsu Healthcare Solution Healthcare Personal service Platform, a platform-as-a-service (PaaS) for the integrated management of consumer-facing offerings based on health and medical information. Sapporo Medical University, Fujitsu Limited, and Fujitsu Hokuriku Systems Limited today announced that this month they will begin development of an AI machine learning model to optimize prescription of oral hypoglycemic medicines in the treatment of diabetes, as part of joint research on AI use with clinical data. Fujitsu Named to FORTUNE Magazine&apos;s 2019 List of "World&apos;s Most Admired Companies"
Fujitsu today announced that it has been named to FORTUNE Magazine&apos;s 2019 list of "World&apos;s Most Admired Companies." Fujitsu Limited and Fujitsu Laboratories Ltd. have applied blockchain technology to develop a system for trading related to energy shortages and surpluses among electricity consumers, including factories and retail stores. 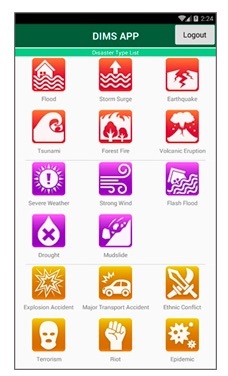 Fujitsu Limited and PT Fujitsu Indonesia today announced installation of its Fujitsu Public Sector Solution Disaster Information Management System in the Command Center of the North Sumatran Regional Disaster Management Agency. 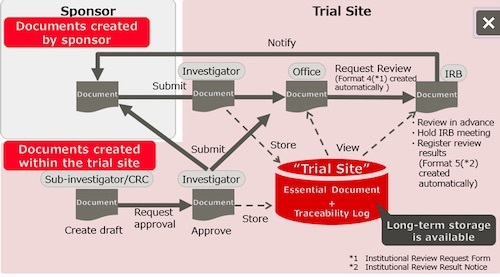 Fujitsu Supports Hospitals with New Clinical Trial Solution, "tsClinical DDworks21/Trial Site"
Fujitsu has enhanced its clinical trial-supporting Fujitsu Life Science Solution tsClinical DDworks21 series with the launch of the SaaS solution tsClinical DDworks21/Trial Site. Fujitsu Laboratories Ltd. has developed an AI technology that automatically determines whether action needs to be taken in response to a cyberattack. 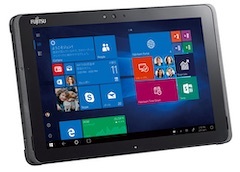 Fujitsu Limited and Fujitsu Client Computing Limited today announced the launch of the Fujitsu Tablet ARROWS Tab Q509/VE, an education-focused Windows tablet, and the ARROWS Tab Q509/VB, an enterprise Windows tablet, as well as a number of enterprise PCs and workstations featuring the latest CPUs and the latest OS version. 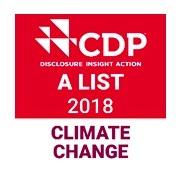 Fujitsu Limited today announced that the Fujitsu Group has been selected for the CDP&apos;s A List for climate change for the second year in a row, earning the highest rating in the CDP&apos;s evaluation of corporate activities in response to climate change. Fujitsu Limited today announced that it has received the Energy Conservation Grand Prize for 2018 in the Product and Business Model category of the Agency of Natural Resources and Energy Director-General&apos;s Awards for the first time.